As autumn approaches I invariably receive questions from reptile owners whose pets have lost interest in food. This most commonly occurs among Red Eared Sliders, Box and Painted Turtles, and other North American species, but may show up in lizards and snakes as well. Amphibians in general, and reptiles from regions without a seasonal change, are largely immune. Bear in mind, however, that many species native to warm climates do experience a cool season – Bearded Dragons are a prime example, with certain populations hibernating in the wild. It is common for native reptiles to slow down or stop feeding as the seasons change; often circadian rhythms (“internal clocks”) control this, and they will not feed even if kept warm. As long as the animals are otherwise in good health, they will be fine. We are learning that reptiles have amazing abilities to alter their metabolisms to suit local conditions (please see article below). Gharials (fish eating crocodilians) that I kept for 17 years at the Bronx Zoo went off feed annually, right in sync with wintertime in their native Pakistan. Despite being kept at 86-92 F, and moving about daily, they lost almost no weight over their 3 month fasting period. Sliders, Snapping Turtles and others that refuse to feed as fall approaches can be kept in water that is at average room temperature (65-68F) or a bit higher over the winter. Leave their UVB and basking lights on during the day, as they will continue to bask and move about. You can offer food 1-2x per week, but they will likely not eat much. Sick or stressed animals are another matter…please write in if you need advice. Actually putting reptiles into true hibernation by lowering temperatures significantly is tricky, although often an important breeding stimulus. Please write in if you need further information. One thing I’ve noticed, and which I’d like to research further, is that wild-caught turtles, even if taken into captivity on the day of hatching, usually stop feeding in the winter, while captive-hatched animals of the same species feed throughout the year. I would be very interested to hear from readers with similar or different experiences, thanks. Please see Hibernation in Captive Bearded Dragons for specific information on these popular pets. There is some amazing new information coming to light on snake metabolisms. Please check out How Snakes Grow During Times of Food Deprivation. Snakes are well known for their abilities to survive long fasts – up to 2 years in some cases – without ill effect. Working with ball pythons, diamondback rattlesnakes and various rat snakes, researchers at the University of Arkansas have recently shown that fasting snakes slow their metabolisms by up to 80%, and yet continue to grow even when food is withheld for 6 months. The reduced rate of metabolism may explain why many snakes lose little weight when fasting. Keyed by circadian rhythms (“internal clocks”), ball pythons are notoriously worrisome to pet keepers in this regard. Most refuse food for long periods of time each year, yet remain in good condition…in fact, the longest-lived captive snake is believed to be a ball python that attained approximately 51 years of age at the Philadelphia Zoo. The fact that fasting snakes continue to grow suggests that large size confers important survival advantages. If it did not, precious fat reserves would not be allocated to growth during food emergencies. Other reptiles and amphibians seem possessed of similar abilities, although confirmation is lacking. Fish-eating crocodilians known as Indian gharials (Gavialis gangeticus) are one example. A group of 8 at the Bronx Zoo ceased feeding in tune with the cool season in their native Pakistan each year for the nearly 20 years that they were under my care. They fasted for 3 months, but continued to move about and bask, and lost little of their 400-600 pound bulk during that time. Bearded dragons and temperate zone reptiles, such as box and Eastern painted turtles, often stop feeding during the winter, even if kept warm. Bearded dragons usually become largely inactive, but turtles often move about normally. Despite this apparent use of energy, they lose little if any weight. Interestingly, at least for turtles, individuals born in captivity usually remain active during the winter if kept warm, while wild-caught specimens typically go off feed for 2-6 months. Providing your pet with proper care and a healthful diet is vital if it is to survive seasonal fasts. Be sure to research the species that you keep carefully. 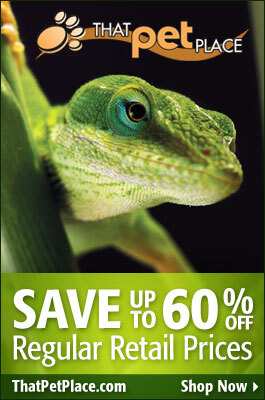 Please consult our reptile and amphibian care books, and don’t hesitate to write in with any questions you may have. To learn more about hibernation and fasting periods, please see my article Hibernation in Bearded Dragons and other Reptiles and Amphibians. The process of hibernation (or brumation) in reptiles and amphibians seems subject to a great many factors. For example, I have noticed that spotted and Eastern box turtles, and other temperate North American species, vary greatly in this regard. In captivity, wild-caught individuals usually slow down (activity and feeding) during the winter, even if kept warm and given a photoperiod of 12 hours. Captive-born animals of the same species most often continue to feed throughout the winter. Green frogs, garter snakes, musk turtles and others, however, usually stay active if kept warm in winter, even if wild-caught. A recent email from a colleague brought up the subject of bearded dragons. His animal becomes lethargic and ceases feeding in October, despite a long photoperiod, and high ambient and basking temperatures. Most bearded dragons in the US pet trade are several generations removed from the wild, yet the tendency to hibernate persists in some. Many bearded dragons, however, remain active all year. I am wondering if what we are seeing is related to the natural range of our pets’ ancestors… perhaps those from certain areas hibernate in the wild and retain this pattern in captivity? Internal (circadian) rhythms exert their influence on most animals, and an understanding of their workings is vital from both a pet-keeping and conservation point of view. I would greatly appreciate being informed of any seasonal changes in activity that you notice among your pets. If you’re looking for general care information on bearded dragons, check out my article: Bearded Dragon Natural History and Captive Care. In the course of my work with captive amphibians and reptiles I have often noted that the activity patterns of some seemed strictly controlled from within, while others were quite flexible. This varied from species to species, and sometimes among individuals within the same species. We know that most if not all species, ourselves included, are influenced by what might be described as an “internal clock”. A number of processes, including daily activity patterns (termed circadian rhythms) are affected. My own observations involved both daily and seasonal activities of a number of species. At one point I was caring for exhibits housing white-lipped treefrogs, Litoria infrafrenata and Wallace’s treefrogs, Rhacophorus nigropalmatus at the Bronx Zoo. Both species are largely nocturnal. On nights when zoo-sponsored special events resulted in the exhibit lights being kept on later than usual, each reacted differently. The white-lipped treefrogs became active at 6 PM, the time when the lights would have been turned off on most days (as did, incidentally, the hoards of mice that occupied the building!). The Wallace’s treefrogs, however, did not begin their evening activities until the lights were actually turned off, some 3-4 hours later than usual. Similar examples abound – wild caught temperate species, such as Eastern painted turtles (Chrysemys picta) usually refuse to eat during the winter months, despite being kept warm. However, the captive born offspring of such a turtle will generally feed throughout the year. Wild-caught reptiles and amphibians hailing from temperate climates, such as the wood frog, fire salamander and snapping turtle viewed here, may become lethargic and go off feed in winter even if kept at their usually preferred temperatures. Indian gharials (Gavialis gangeticus) under my care at the Bronx Zoo, hatched in their native northern India, refused to feed during their homeland’s cold season, despite having been shipped to NYC at less than 1 year of age. The habit persisted for the 15 years or so that I was in contact with them. Interestingly, they lost barely any weight during their 3 month long fast, even thought they were kept warm and remained active.